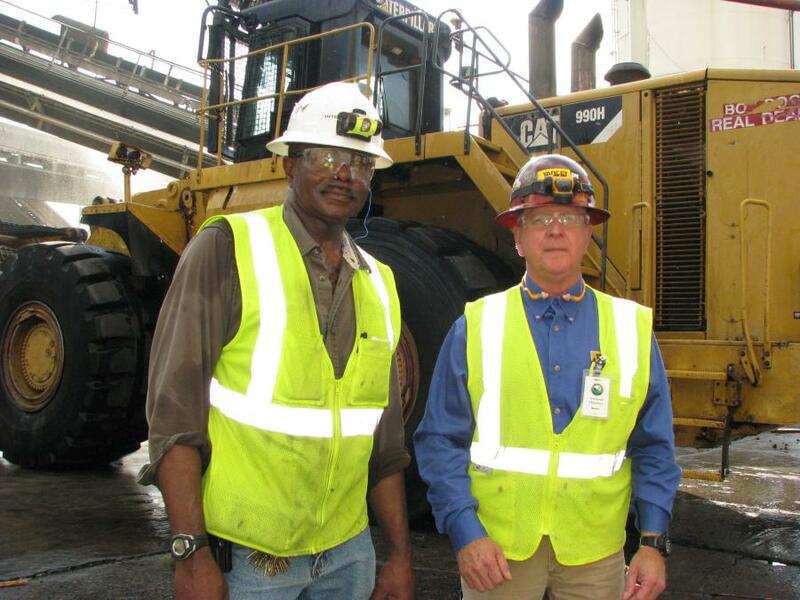 Mickey McKinnon, Yancey Bros. Co. field service representative, performs 500-hour interval work on International Paper’s Cat 990H. Willie Keen is responsible for everything with wheels as the mobile equipment owner and manager of International Paper in Oglethorpe, Ga. He has been with the company, which is one of the world's leading producers of fiber-based packaging, pulp and paper, for 38 years. In 2007, he was involved with a key decision to purchase a brand new Cat 990H wheel loader from Yancey Bros. Co. Yancey's Jim Pace, southwest Georgia regional sales manager, and Noland Thacker, product support service representative, were instrumental to the sale. Recently, this machine saw a significant milestone — eclipsing 50,000 hours in service. 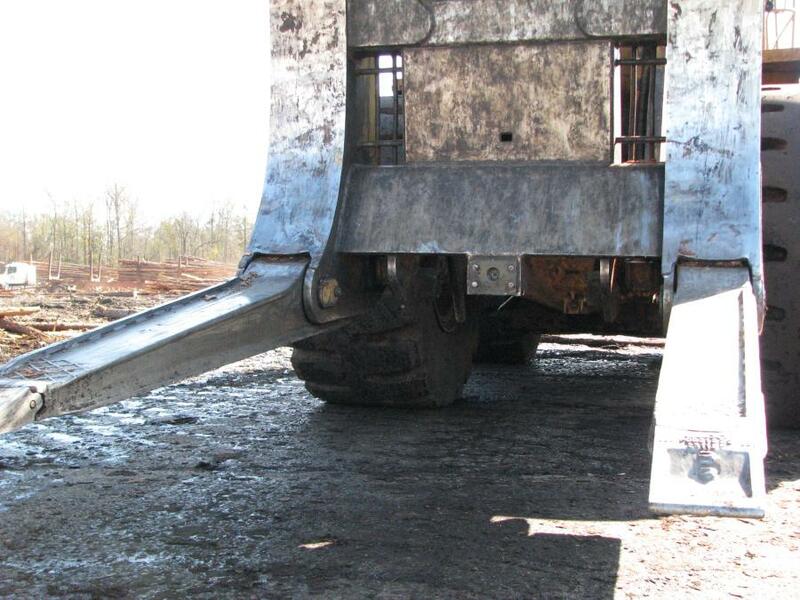 This particular 990H model was the very first built specifically for the logging industry. It replaced a Cat 990 series, which was the first Cat machine used in a forestry application in 2000, when it was brought to this paper mill and converted from a bucket loader mining machine and transformed into a forestry machine. International Paper's original 990 wheel loader proved to be the driving force for Caterpillar to begin building the 990H as a designated, factory-built forestry application machine. Caterpillar recognized the viability of building the machine based on what this customer had custom built. When deciding on this new piece of machinery, International Paper considered a wide variety of options before purchasing the 990H wheel loader. International Paper decided to invest in the Cat 990H wheel loader. They also traveled to Peoria, Ill., to watch the machine be built. When dealing with 28-to-29-ton loads on average, you need productivity and power, according to Keen. 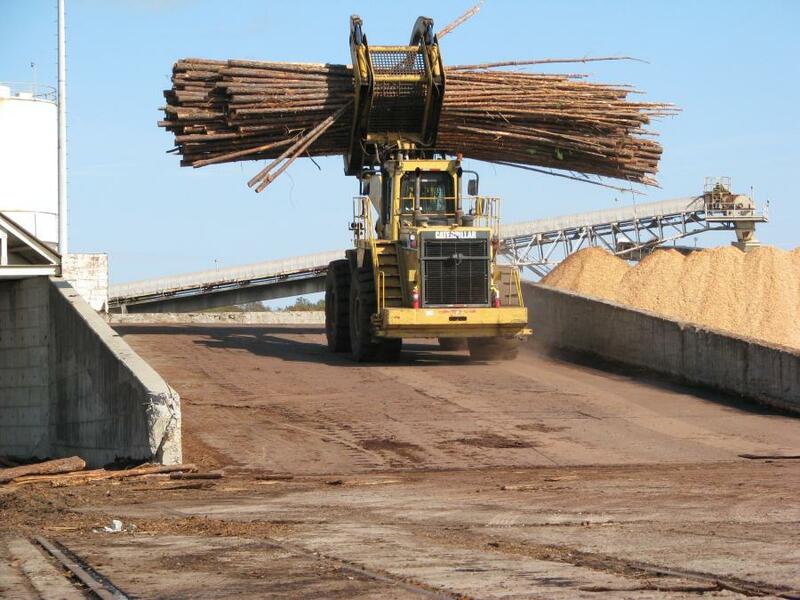 The company's Cat 990H is put to the test in a variety of situations, particularly when pulling out reserve stock, which is material that has been unloaded and stockpiled for future use at International Paper. The material may be wet, increasing the weight, sometimes to more than 30 tons. Power and lift also are essential because, in addition to lifting, the machine has to run up and down a loading ramp on a continuous basis, as well as maneuver a full load up and over a wall and into the plant's gentle feed. The max height needed for off-loading trucks is roughly 18 ft.
“Running from 8 p.m. until 8 a.m. and working from the reserve inventory at higher load weights, an underpowered machine isn't going to hold up like the big 990H,” he said. The substantial investment in the Cat 990H, which has lasted more than 10 years, was well worth the money, according to Keen. Yancey Bros. Co. also helps handle maintenance of the machine for International Paper. 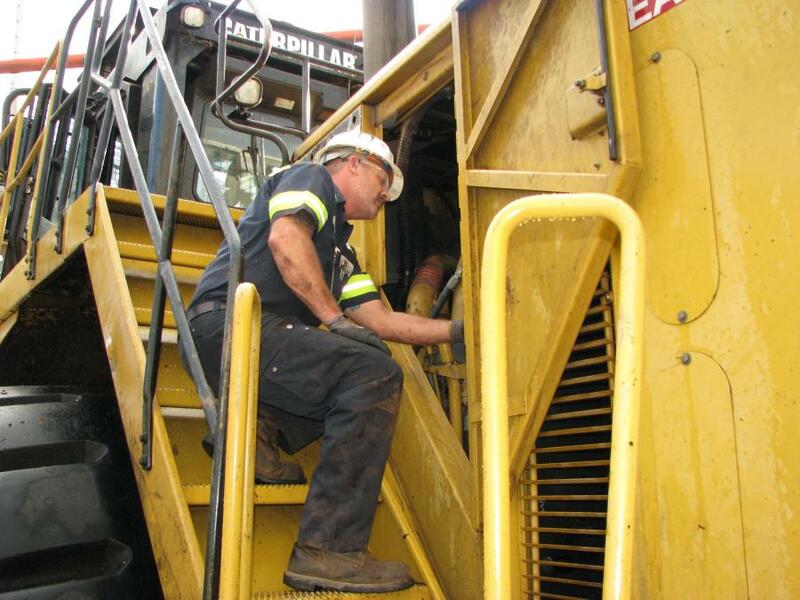 The company has replaced both the engine and transmission of its 990H, which is done as a regular maintenance function of the loader as a preventative maintenance service. In fact, the company will soon be replacing the engine/transmission combo for a third time. Yancey will dyno test the new engine and rebuilt transmission before they deliver it to International Paper, and they will send out its technicians to help perform the work. During the engine and transmission replacement, the pumps are swapped out, too. It's a total team effort between International Paper and Yancey Bros. Co. and takes about 10 days for replacement of everything. This replacement means virtually no down time before the next time to replace everything again. “We run full out for 18,000 hours or so and then change the entire engine and power train,” he said. Keen has found that it's cheaper to rebuild some of his machines than buy new ones. In the meantime, Keen said the company has upgraded its current wheel loader with a rear-mount backup camera, and installed a front mount camera at the fork level for viewing the forks and load. This camera even records, so the company can replay the footage. 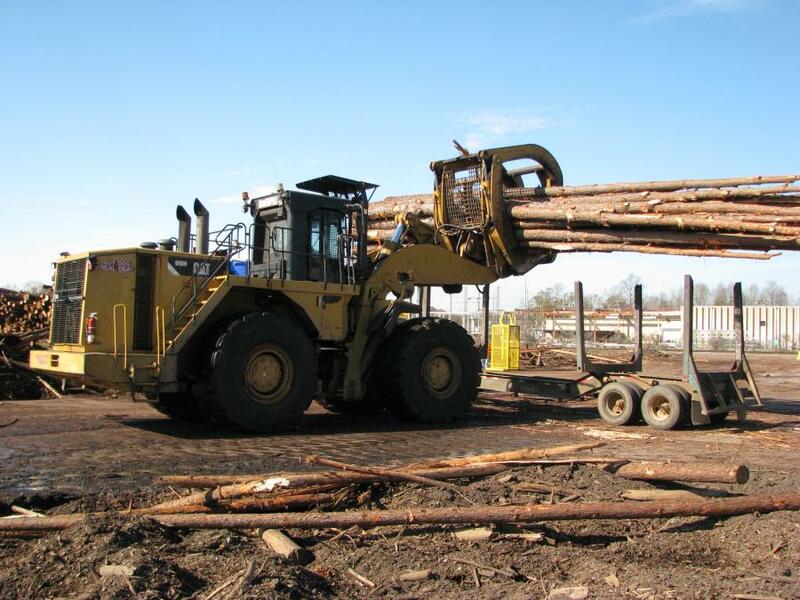 Word of the reliability and productivity of the 990H has spread over the years, and International Paper has become a place where people travel to look at this logging machine. The H model even has a buddy seat in the cab for someone to see how it operates. The original Cat 990 series 2 that started it all is still in operation at International Paper. Today, it has more 40,000 hours after serving as a backup machine for 17 years. Caterpillar Georgia Wheel Loaders Yancey Bros. Co.